Cut & Jet combines a 5 axis mitre saw and waterjet into one system to provide seamless straight and curved cutouts. 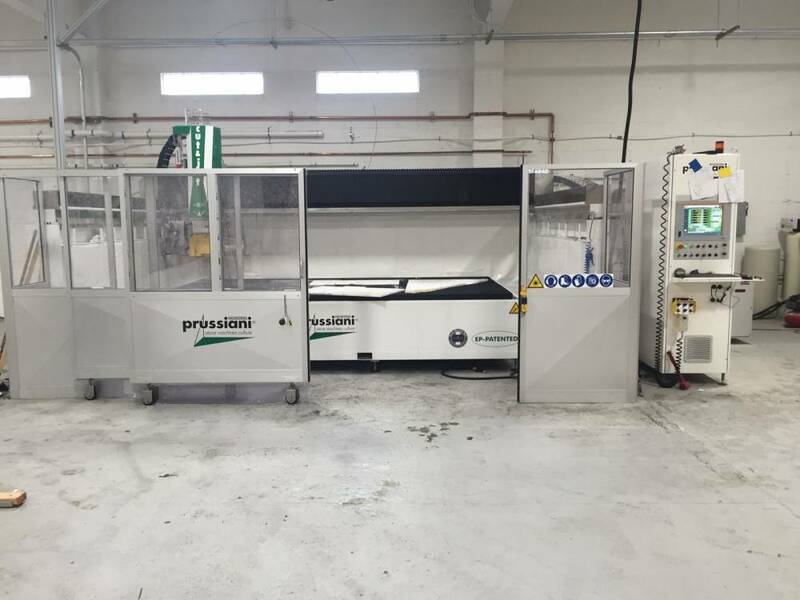 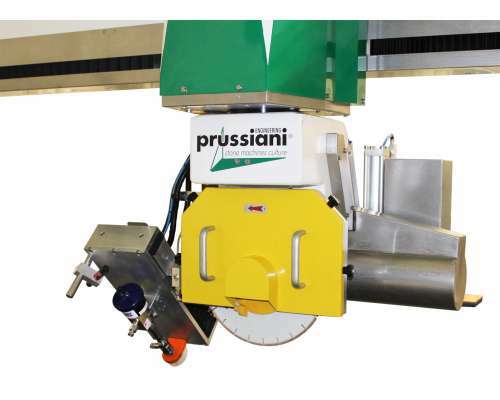 Whether your application is for cutting benchtops, fireplace surrounds or vanities, Prussiani's Cut & Jet machine gives a new meaning to increasing productivity by eliminating double handling. 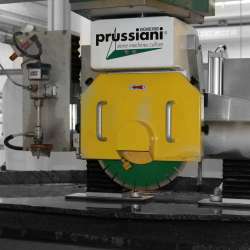 Prussiani stone processing systems are engineered from the highest quality componentry to deliver many years of trouble free service. 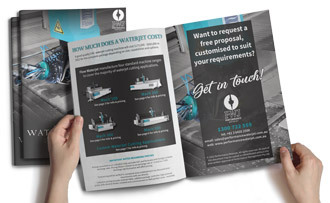 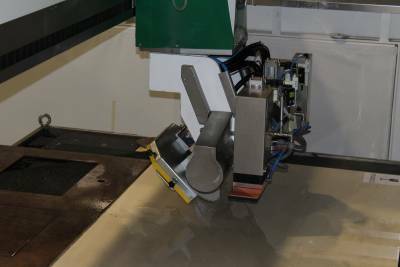 With proven accuracy of +/- 0.1mm tolerance over 12 metres, the Cut & Jet system allows operators to perform straight cuts, mitres, curves and sink and tap holes in one operation. 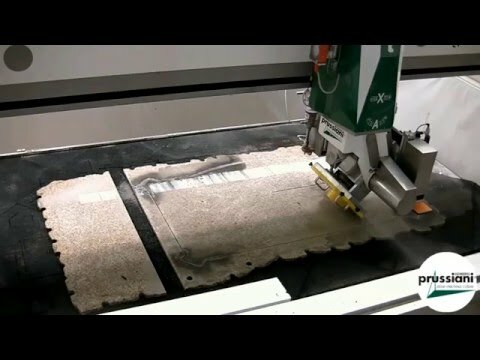 Standard with 36 month warranty, the Cut & Jet is the ultimate slab cutting solution for stonemasons who want to improve the efficiency and versatility of their workshop. 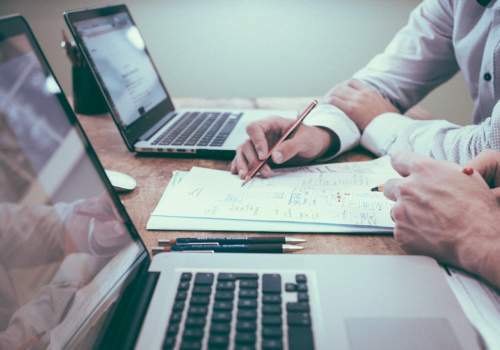 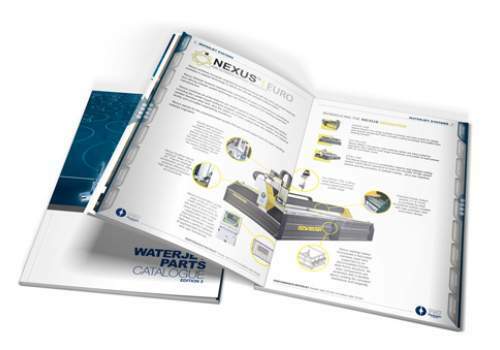 Want to really improve the productivity of your workshop? 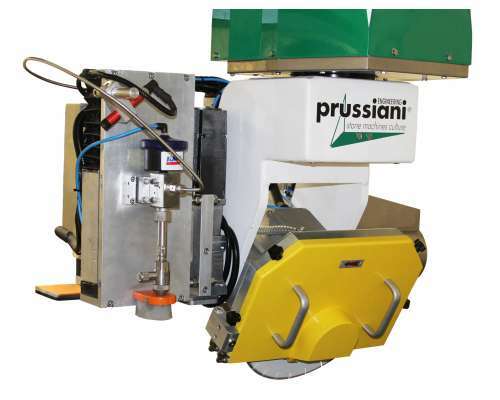 Check out Prussiani's dual table combination system, the Cut & Jet Shuttle. 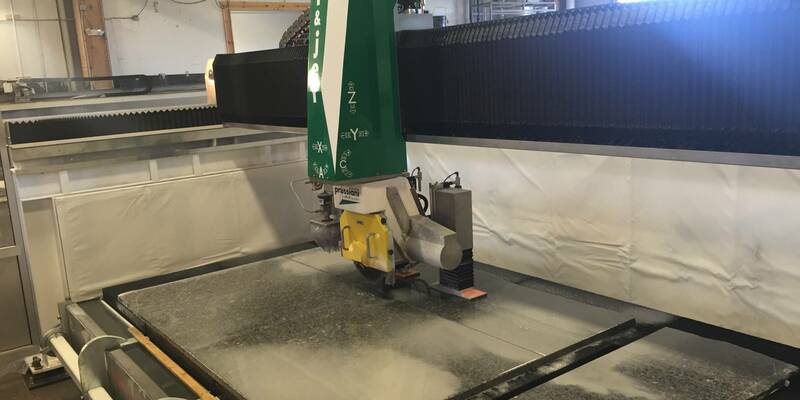 With automatic tilting from 0 to 60°, a diamond blade remains the fastest way to perform cuts and mitres in stone. 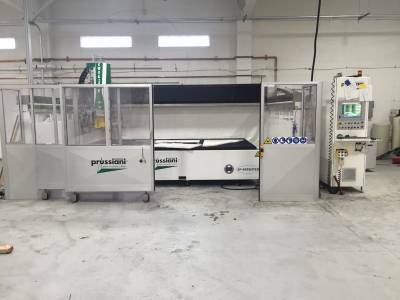 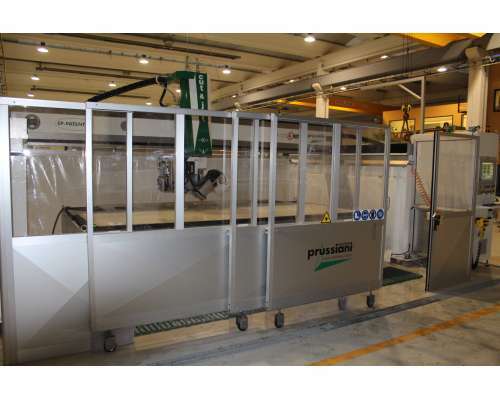 Engineered for high production cutting, the Prussiani Cut & Jet saw has an 18HP motor with a 425mm blade capacity. 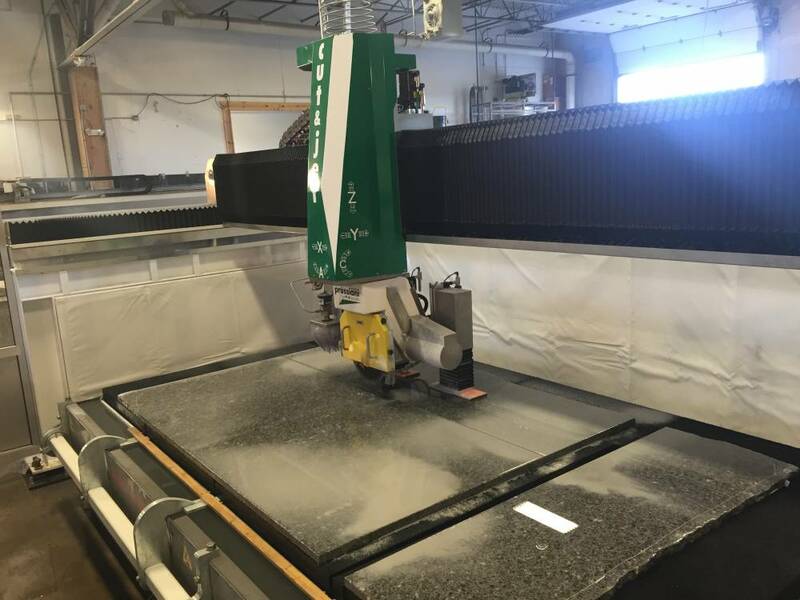 Complete with a 5 axis waterjet cutting head for -5 to 60 degree tilt, the Cut & Jet system combines the versatility of waterjet cutting with the speed of a diamond blade into one operation for the fastest production times. Once the saw has completed the straight and mitred cuts, the 5 axis waterjet system then cuts all curves, sink and tap holes. 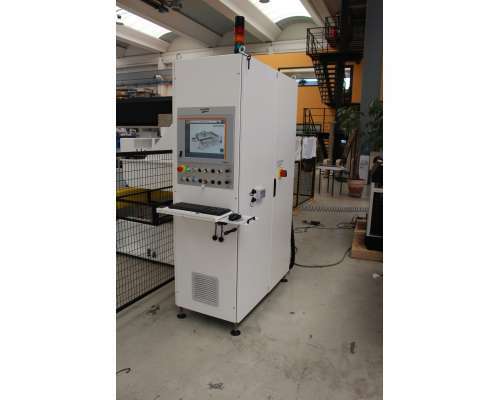 The numerical control system has been built and prepared to work in automatic mode even without an operator present (e.g. 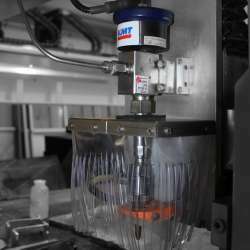 at night or during operator breaks). 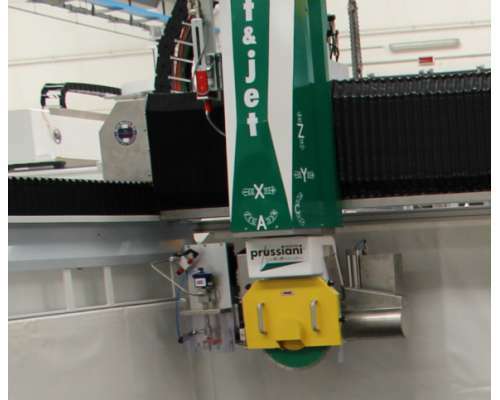 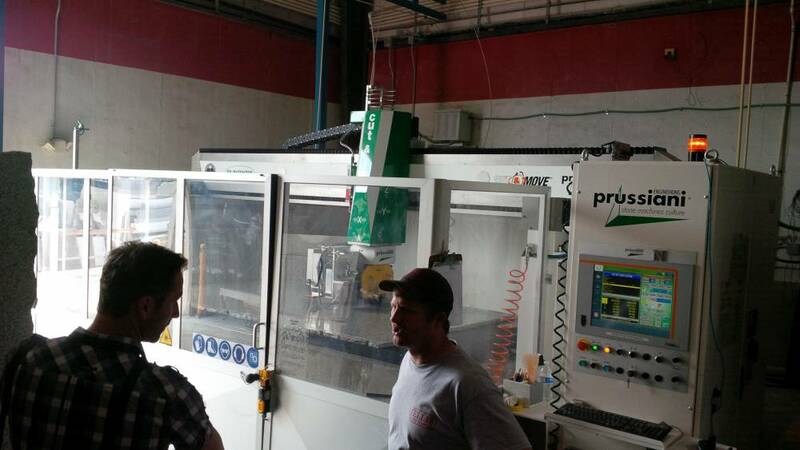 Sensors constantly control the machine for smooth operation. 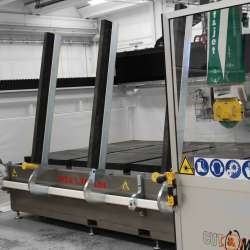 In case of abnormalities such as lack of water, compressed air, lubricating grease etc. 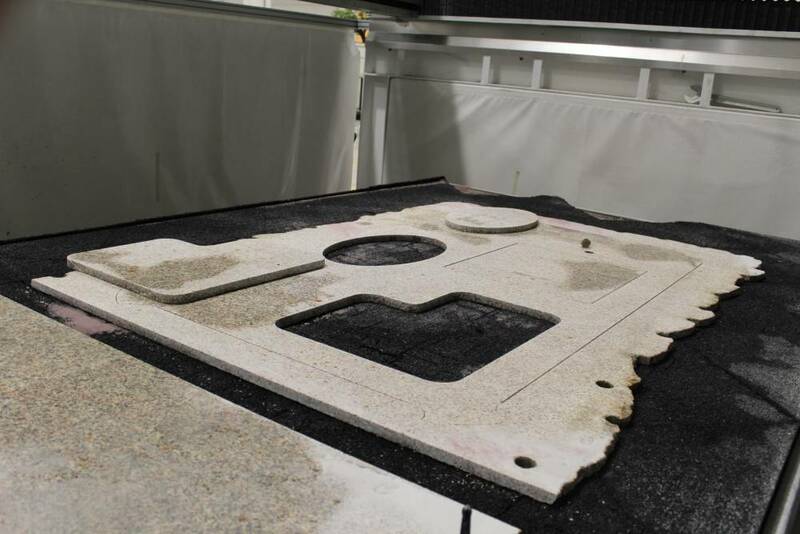 the system will shut down. 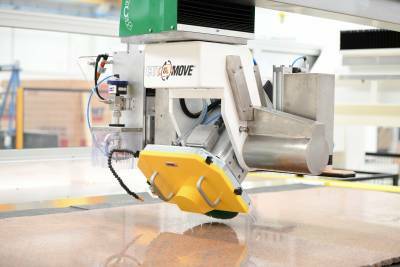 The movements of the carriages take place through high torque brushless motors coupled directly with a backlash-free cycloidal gear reducer to ensure stability and a precise cut. 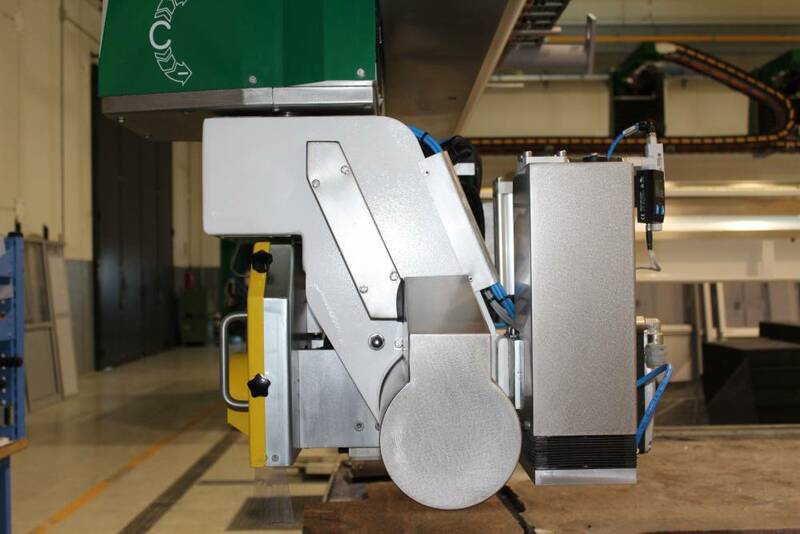 The movement of the bridge through gantry system, (two side motors synchronised between them), ensures the maximum stability of the machine and therefore a perfect cutting quality and longer life of the diamond tools. 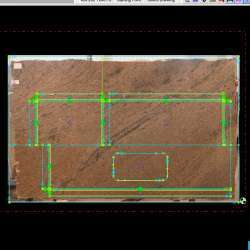 The Cut & Jet has overall dimensions of 4.3m (l) x 6.75m (w) x 3.1m (h). 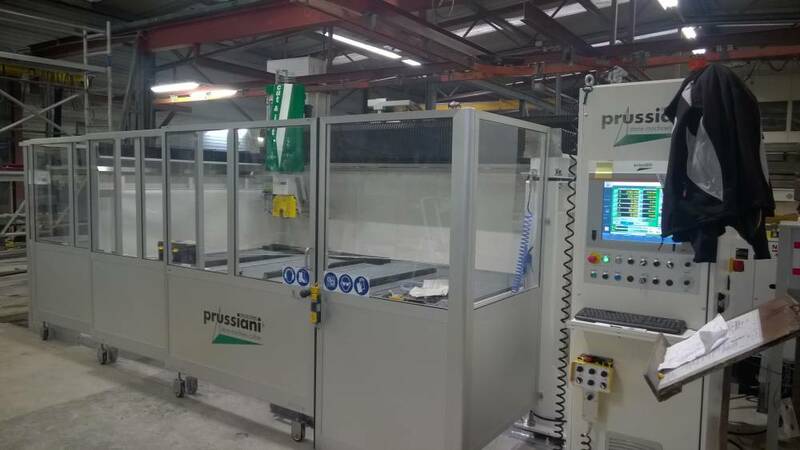 The operator protection system consists of aluminium sliding frontal doors with door safety interlocks, and side and back protection panels in compliance with Australian Standards AS4024/1601 for machine guarding. As an option, the Cut & Jet system can be supplied with a vacuum manipulator for the automatic moving of slabs to optimise workpiece usage during the cutting process. 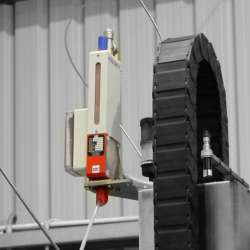 The two suction cups lift individual pieces with a maximum weight of 210 kg, while coupled pieces up to 420 kg. 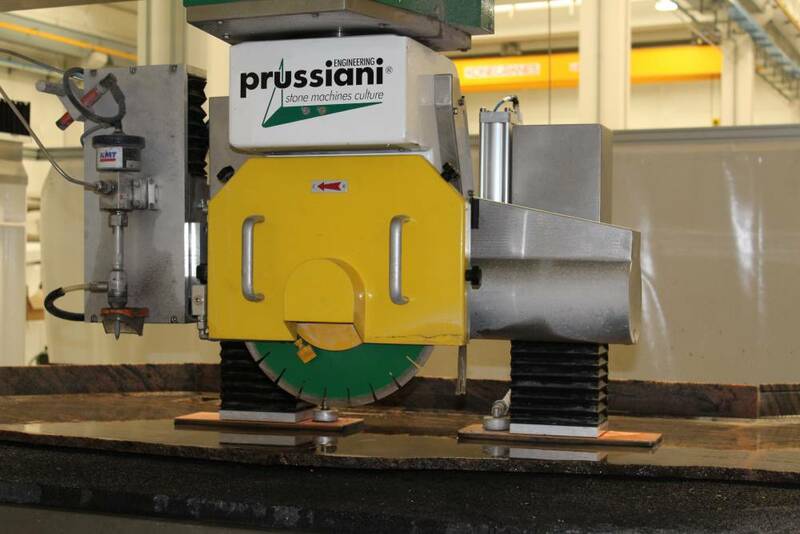 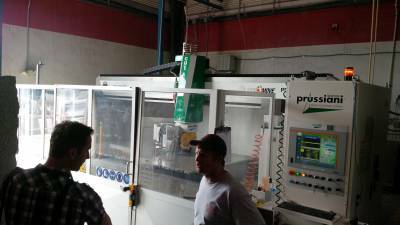 Perform straight cuts, mitres, curves and holes in one operation. 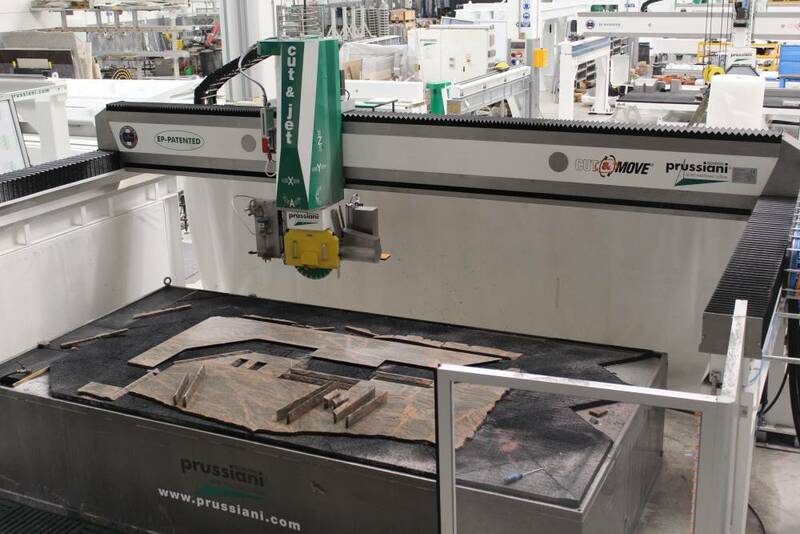 With 60 degree tilt for both the mitre saw and the waterjet cutting head, the Prussiani Cut & Jet system is your best opportunity to put your business ahead of the game. 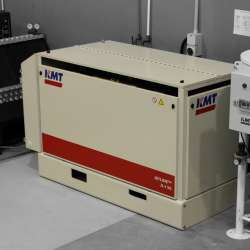 The Jetline I-50 is a 55,000psi high pressure pump based around the Streamline V intensifier which incorporates KMT’s unique “slow stroke” intensifier technology to lower the stroke rate to 56 strokes/min, and increases the service interval by over 20%. 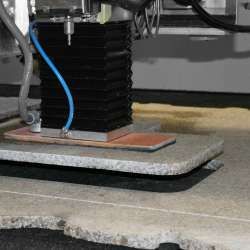 The net result is reflected in the lower running cost per hour and smoother pressure delivery. 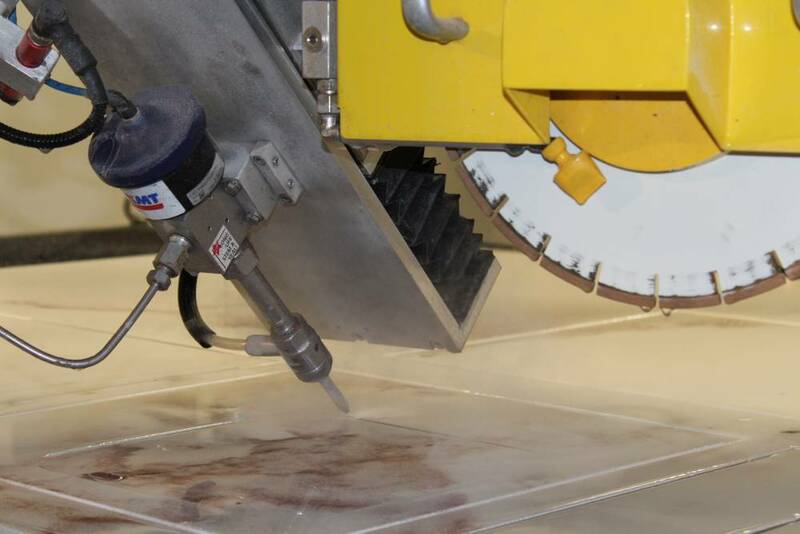 KMT's Abraline V accurately monitors the availability of garnet during the entire cutting process, ensuring cutting is never interrupted due to garnet refilling. 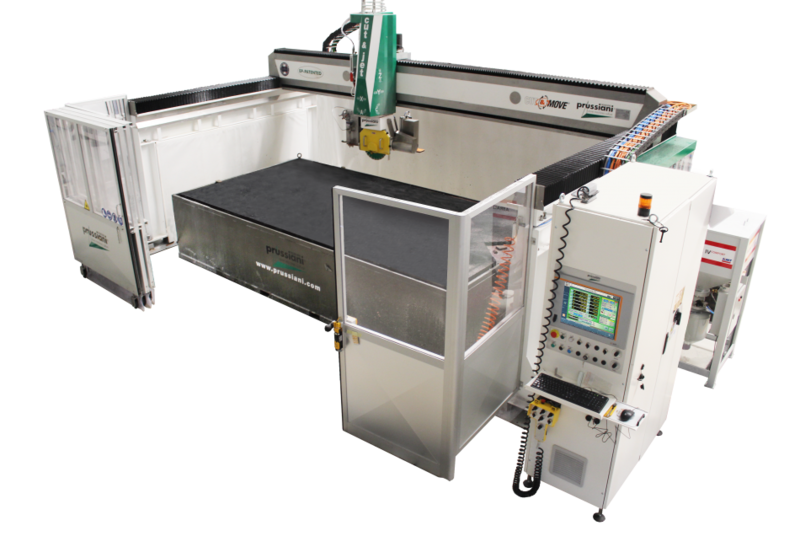 The legendary KMT Integral Diamond Eductor cutting head consistently demonstrates superior performance and reduced operating costs when compared with other cutting heads. Dead-on alignment of the water stream allows maximum power to be delivered to the surface which results in faster cutting speed with less abrasive required per linear metre of cut. 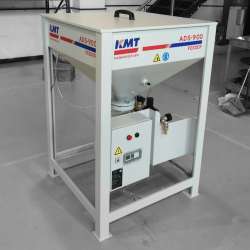 The KMT Feedline V delivers garnet abrasive consistently to the cutting head by using a small motorized feed belt. 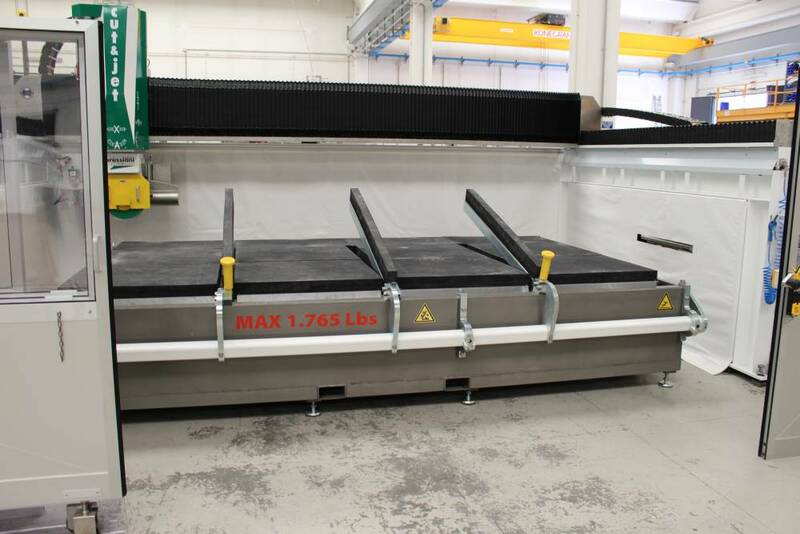 The level monitor on the Feedline maintains hopper levels whilst the waterjet is in use, and the back flush detectors protect your workpiece in the case of a back flush occurring. 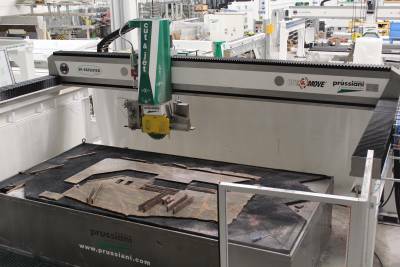 The overhead camera "eye" allows the operator to watch the cutting of the slab through the CNC control panel from a closer viewpoint. The lifting arms bring heavy slabs of stone from a vertical to a horizontal position, for efficient and easy loading/unloading. 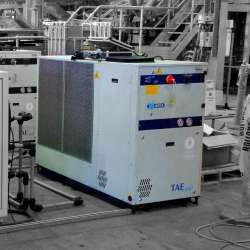 The MTA Ta Evo Chiller maintains the temperature of the oil in the high pressure pump to prevent it from overheating, and recycles the cooling water to improve the efficiency of the whole system. 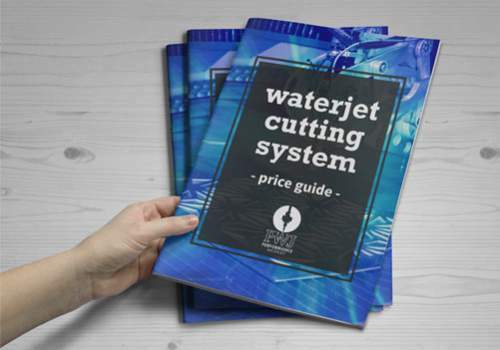 The Cut and Jet system is supplied with Wcam’s powerful Stonejet CAD / CAM software which includes a comprehensive range of features including the ability to draw from scratch, book marking functionality, file conversion and the ability to work with a range of file types. 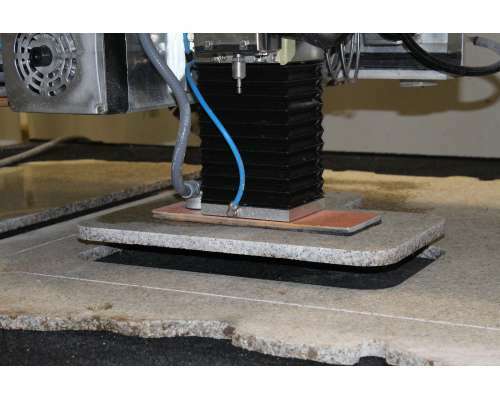 This software automatically integrates saw and the waterjet technology to offset the narrower waterjet cut onto the workpiece side of the cut and create a clean edge on the workpiece.